Safety is everyone’s first concern. Nobody wants to spend their precious time (and money) in a country where they don’t feel safe. And so this is something I get asked about a lot. 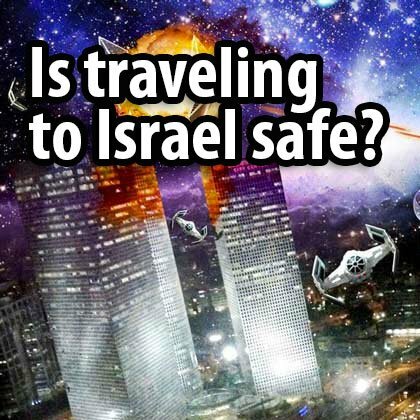 The answer is simple: yes, Israel is safe. It’s not only me saying that it is. 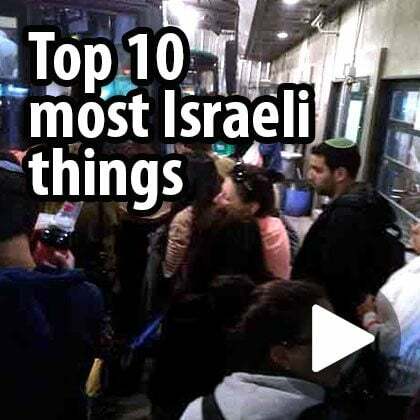 The Israeli tourism ministry does surveys and asks tourists about what they liked and didn’t like and safety always ranks very highly. 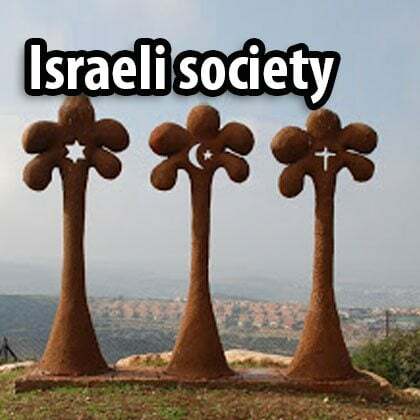 In fact, many feel safer walking around at night in Israel than they do in their own countries. 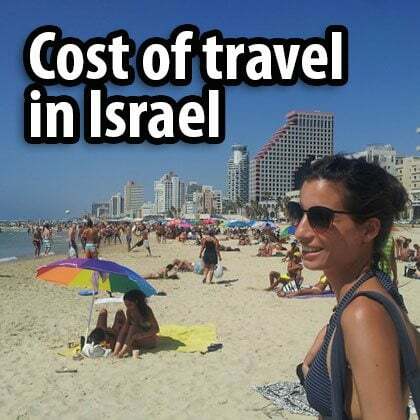 Before tourists come to Israel they worry about safety, but once they arrive they find themselves worrying about something that affects them a lot more: how expensive many things are. And this brings me to the next point. Israel is not a war zone. 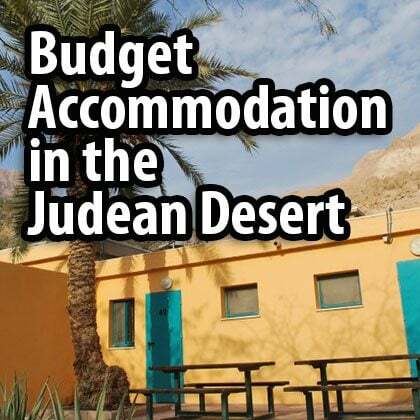 Israel is not a cheap place to live in or travel in and as tourists you will notice it especially in two things: the prices of hotels and restaurants. If you feel that you paid more than it was worth, well, join the club… (a night in a 5-star hotel will cost around 350€ for a basic room and a night in a 3-star hotel will cost around 150€). If you want to pay less there is a great option that I can recommend and that is taking a private room in a hostel. 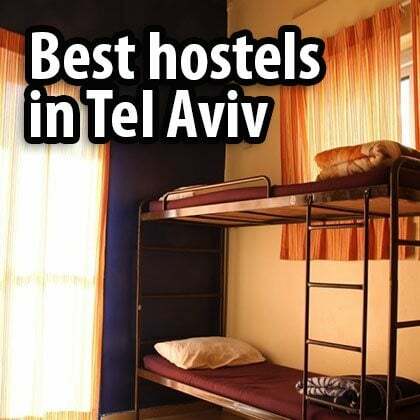 You can have a look here – Hostels in Jerusalem and here – Hostels in Tel Aviv. 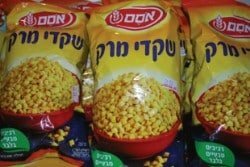 Street food in Israel is also a great option for those who find restaurants too expensive. Just remember to always look at the prices in the menus! Even if you are only going to order an orange juice or a cup of coffee. Unlike in other western countries, where street food is really unhealthy, Israeli street food, like falafel, sabich and hummus, is much better. That being said, prices for attractions (like visiting national parks) and transportation are reasonable. 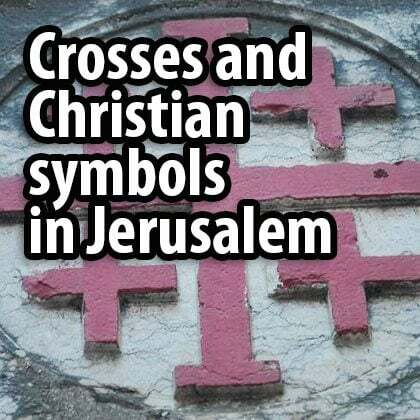 It is well known that Israel’s highlights are Jerusalem and Christianity. Tel Aviv gets quite a good press too. 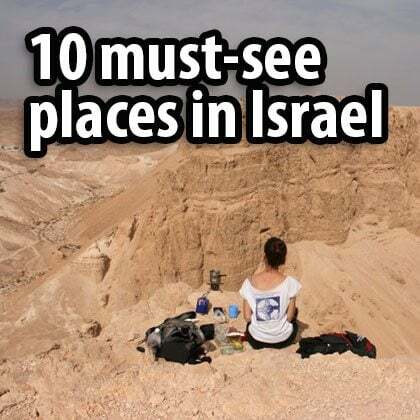 But the desert, the Negev, is the best unknown place on the tourist map of Israel. 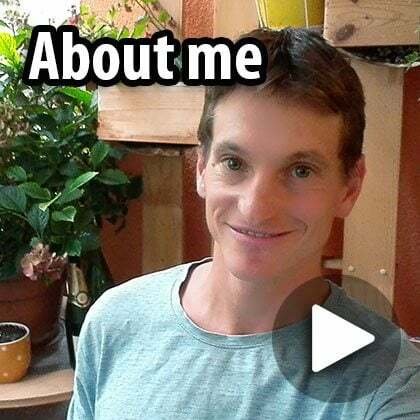 Jerusalem is the starting point for most groups, but if you ask a tour guide why he or she became a tour guide and which part of Israel they like the most, the desert will figure very highly on their list. The Negev covers 50% of Israel. If you like desert scenery and especially if you come in winter – from November to February, be sure to spend some time in the desert. Mitzpe Ramon, right on the edge of the Ramon Crater, and Sde Boker are great places for desert tours. 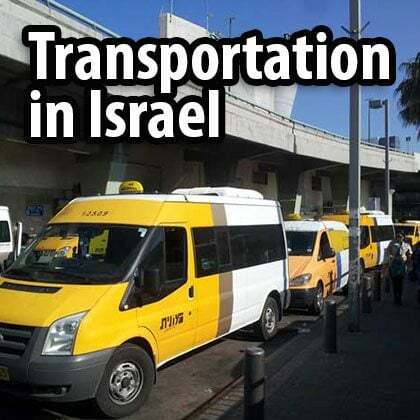 Both lie about two hours’ drive south from Tel Aviv or Jerusalem. 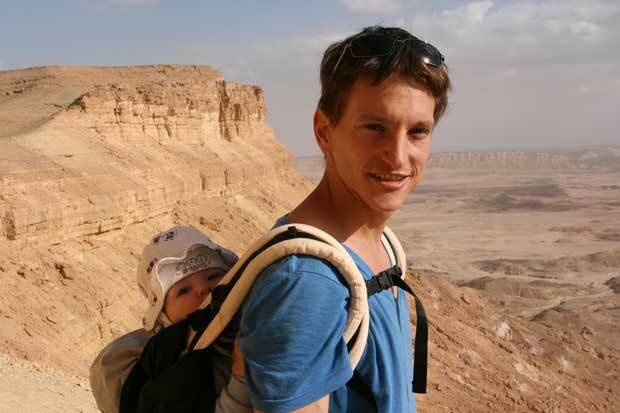 Further south there are many sights and parks – HaHarava, Paran, Timna Park, the Eilat Mountains and much more. The desert. 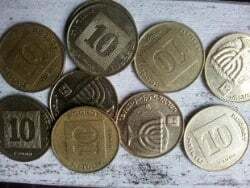 The reason I became a tour guide. When you travel you realize how important the weather is. At home most of us work indoors, but when travelling a big part of the day is spent outside. 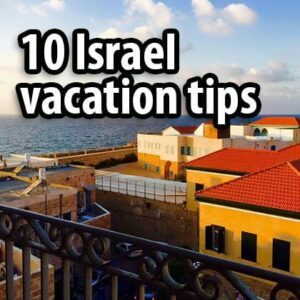 If I had to choose the best time to visit Israel, it would be March or April. Winter in Israel is not as cold as it is in many other European countries. 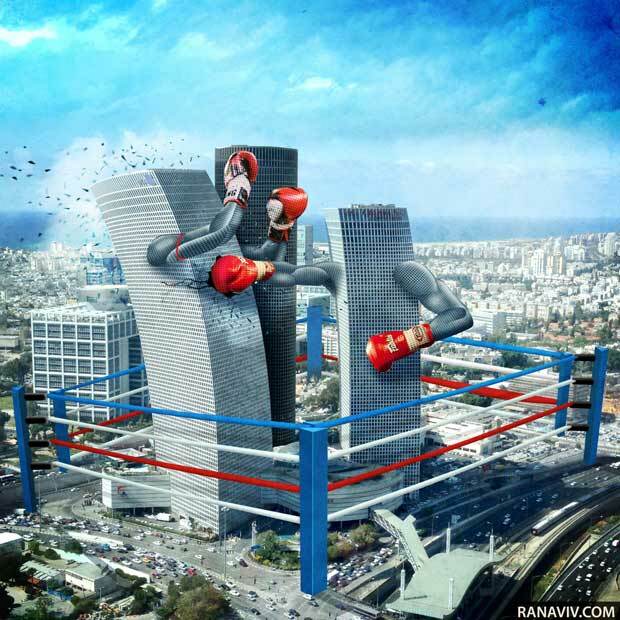 The average temperature in Tel Aviv in December is 19°C (66°F) and in Jerusalem it’s 14°C (57°F). The winter months are great for spending time in the sunny desert. The average temperature in Eilat in December is 23°C (73°F). Summer, especially June, July and August, is extremely hot. You can expect temperatures of 30-35°C (85-95°F) every day. Hire a car when traveling in the desert, Galilee or Golan Heights. 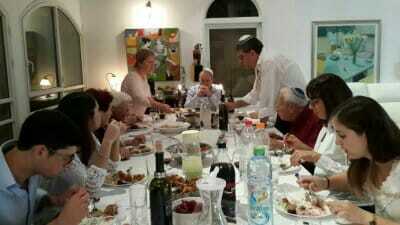 Holidays in Israel are mostly Jewish religious festivals. It is great to experience them, but it is worth knowing when they are and planning in advance. The prices of hotels are high, lots of places get booked up, shops are closed and there is no public transportation. There is also no public transportation from Friday afternoon until Saturday night. 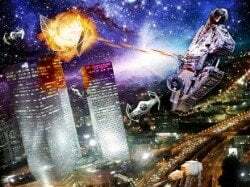 The Jewish calendar is different from the Gregorian calendar so check before you come. 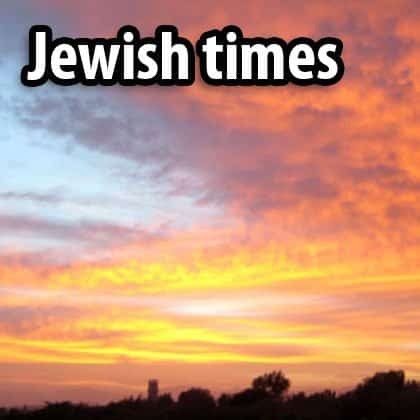 In general, the Jewish New Year, Yom Kippur and Sukkoth are in September or October. Hanukkah is around Christmas, and Pesach is around March or April. 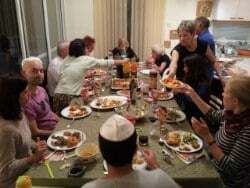 Jewish holidays – they tried to kill us, we survived, let’s eat. Because Israel is so often on the news, people tend to think that it is much bigger than it really is. But Israel is tiny – the size of Wales (if you come from England), or Hessen (if you come from Germany), or the size of New Jersey (if you come from the U.S). 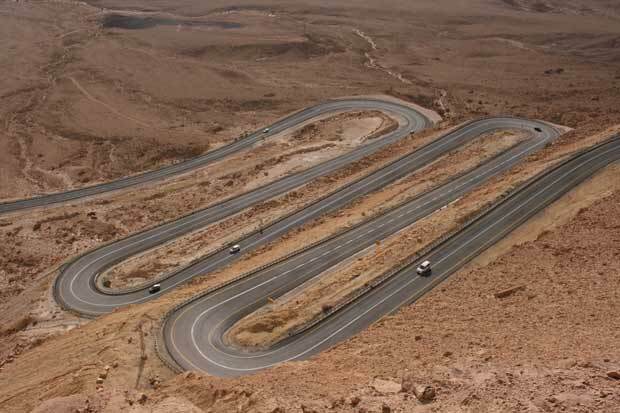 It takes less than six hours to drive from Metula, the northernmost point, to Eilat, the southernmost city in Israel. So if Jerusalem is overwhelming, then Tel Aviv is only an hour away, and if the Dead Sea area is too hot, then Jerusalem is relatively close by. 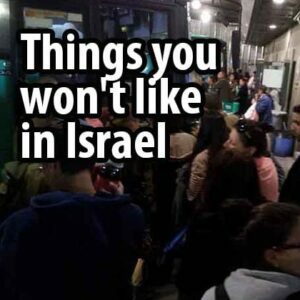 People don’t usually travel to Israel spontaneously, seeing a cheap flight and just taking it. I personally think that’s a good thing: it gives you time to plan your trip, and by planning I mean not only booking hotels and planning the itinerary, but also reading about the places. 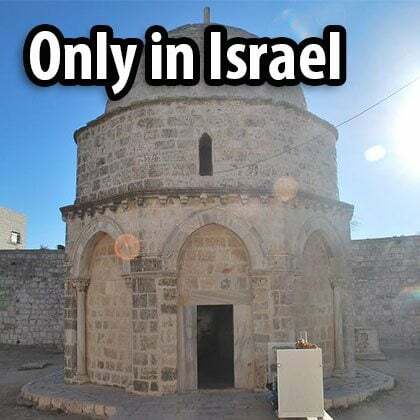 Most places in Israel are not impressive. 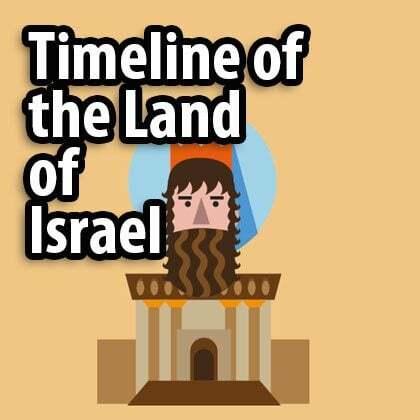 To understand and enjoy Israel you need to know its story. 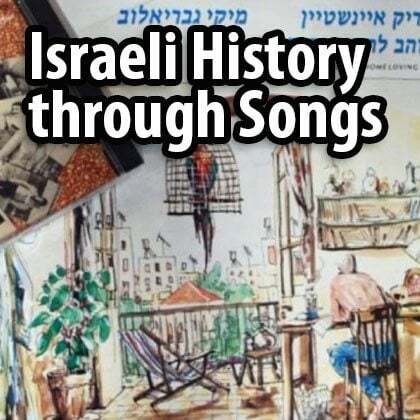 My website and booklets are a good place to start reading about the sites and history of Israel. 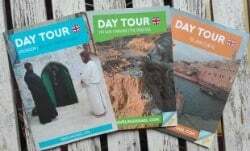 My travel guide booklets. Because the beauty is in the story. 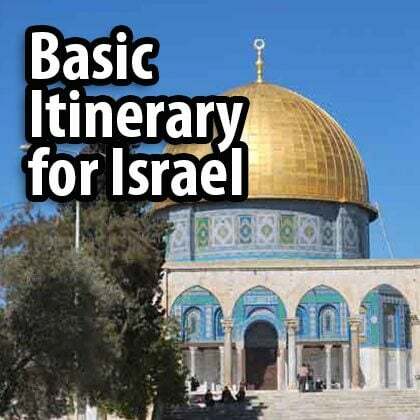 Israel stands out as a travel destination in that tourists often have strong feelings about it, arriving with a whole set of religious and political expectations and perceptions. Israel can be very intense and may throw up the odd difficult encounter. You will certainly find everything you’re looking for: conflict and peace, holiness and irreverence, hope and despair. But I want to suggest trying to open up. 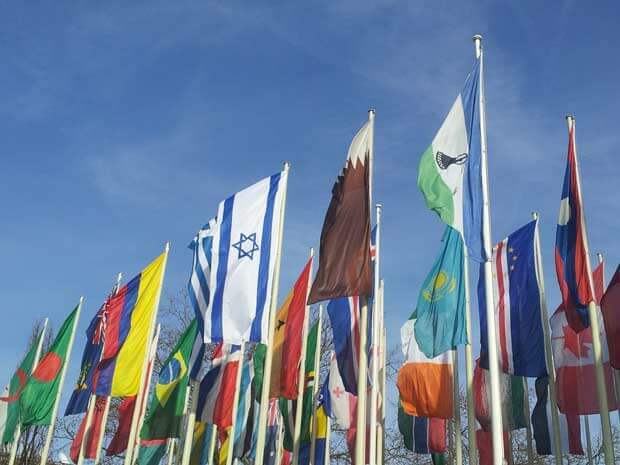 Israel is a corridor in which ideas, peoples, empires and religions meet. Take advantage of this great abundance.